Hello, dear story-makers. It’s Britt. Inspired by this photo I snapped of the New Moon Kitchen delivery van, I declare today, “The Day of the Cookie,” and I encourage each of you to give a cookie to someone you love. 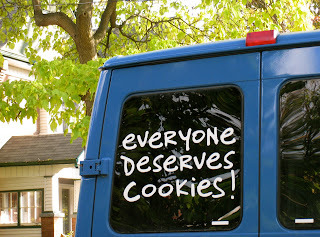 Or better yet, give a cookie to a total stranger. Practice Random Acts of Cookie. And don't forget to write to us here, and tell us how it goes! I love you. 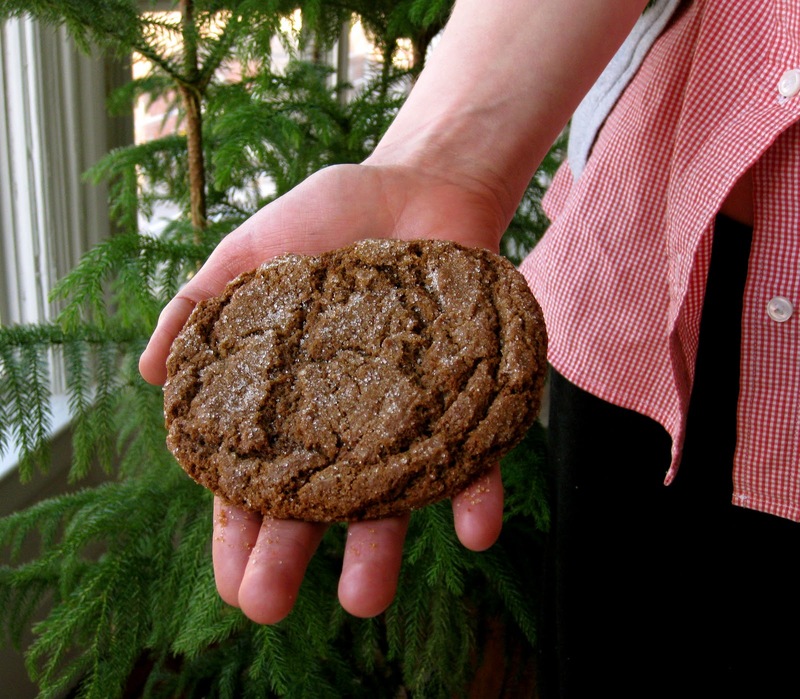 Here's a Ginger Snap. I'm going to be kind to me and eat the last cookie!!! I think that definitely qualifies as "someone you love," my dear. Do tell us what kind of cookie! Oh my gosh I LOVE ginger cookies! There's a store called Andronicos here in the Bay Area that sells them, and although they cost a fortune I'm a devotee. Oh yeah. They're perfect when they're a bit spicy and have soft chewy insides and crunchy outsides (in my opinion). I think you should march out and get one immediately! !